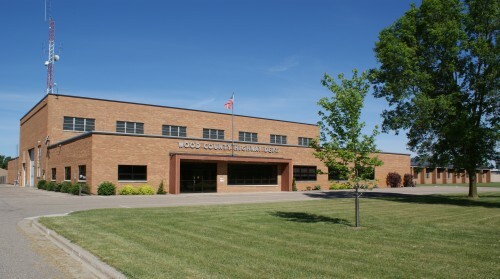 The mission of the Wood County Highway Department is to construct and maintain 324 miles of the county trunk highway system, along with maintaining the state trunk highway system in Wood County on a contract basis for the State of Wisconsin. Additionally, the department provides road and bridge maintenance services to local governmental units upon request on a cost charge back basis. To accomplish this work, the department is responsible for the purchase and repair of all necessary equipment, as well as maintenance of an administrative staff for all accounting and ordering of equipment and supplies. Our goal is to provide for safe, convenient movement of the traveling public. The Wood County Highway Department imposes seasonal weight restrictions on most county trunk highways during the spring thaw. The seasonal weight restrictions typically occur from mid-March to around the end of April. Limits are six tons per single axle and ten tons per tandem axle. For more information, visit the Seasonal Weight Restrictions page. State Statute 346.41 (3) is in reference to "Blue Driveway Delineators". This law prohibits the display of red or amber (yellow) reflectors within right-of-way at or near private roads or driveways, but permits the use of blue reflectors for such purposes. The color of blue reflectors acceptable for use on all highway right-of-way may be described as a clear blue having no greenish or purplish appearance in the daytime or when reflecting white light from automobile headlights at night. The shade should be not so bright as to appear white at night. The use of more than two sets of delineators on the highway right-of-way to mark an entrance to a private road or driveway does not appear necessary and will not be permitted. By two sets, we mean two reflectors that would be visible to traffic from each direction; presumably one on either side of the private driveway. Ideally, these reflectors should be set approximately at the ditch line well beyond the shoulder line. The Wood County Highway Department occasionally sells surplus items on the Wisconsin Surplus auction site. See what's currently for sale at www.wisconsinsurplus.com. It is unlawful to follow a snowplow closer than 200 feet. It's illegal (State Statute 346.915) to follow a snowplow closer than 200 feet upon any highway having the posted speed limit of more than 35 mph if the snowplow is engaged in snow and ice removal. The majority of crashes involving snowplows and vehicles happen when a snowplow is rear ended or hit while being passed. Snowplows have wing plow blades that can extend anywhere between 2 and 10 feet beyond the width of the truck. This wing plow blade is often not seen because of the snow cloud being kicked up by the snowplow. These wing plows can often weigh as much as a compact car. It is unlawful to push snow or other materials onto or across roadways. It can cause accidents and/or death and is strictly prohibited under Wisconsin Statues 86.01 and/or 346.94(5). Anyone who does not comply will be held responsible for all penalties and liabilities. The Highway Department fulfills its responsibilities to maintain the safety and convenience of the county and state trunk highway systems by performing both general and winter maintenance. General maintenance includes the following: patching, crack filling and sealcoating of pavement, shoulder maintenance, and vegetation control, bridge and culvert maintenance, litter and trash pickup, guardrail installation and repair, signing, pavement marking and traffic control. Winter maintenance includes installation and removal of snow fence, application of sand and salt, plowing and shoveling snow off bridges. Additionally, the department also provides road construction along with pavement resurfacing (blacktopping), bridge and culvert installation. To effectively accomplish these activities, the department maintains four (4) storage and maintenance facilities at various locations. The main shop is in Wisconsin Rapids with outlying shops in Marshfield, Pittsville, and Auburndale.